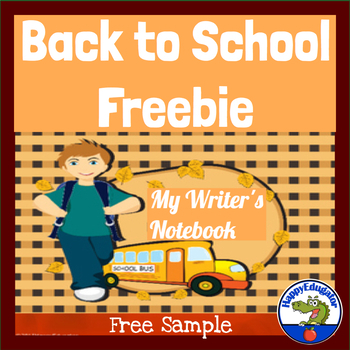 FREE Resource or Back to School! 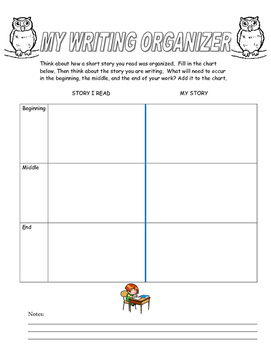 My Writing Organizer sample page. 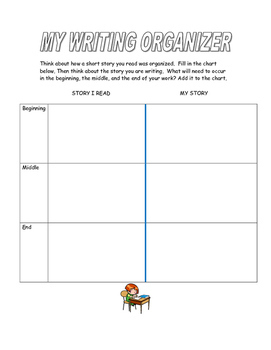 A graphic organizer for students to use to organize writing after they read a short story and are in the process of creating their own. Students must identify the beginning, middle, and end of a story they read, and then decide what comes at the beginning, middle, and end of a story they are writing. Encourages critical thinking by going beyond recall. One page with Owl graphics and space for notes, and one page simplified to save ink. Supports common core standards, which requires writing to be connected with reading. Follow me HERE to get notified of updates, sales, free resources, and new products. All new products are 50% off for 48 hours. © Deborah Hayes aka HappyEdugator. For classroom and homeschool use. If you wish to share this freebie, please refer interested parties to this page.